Get ready to be hungry! Want to see more rib inspiration? Sign-up to get recipes and tips delivered straight to your inbox! You wouldn't believe how hot ribs are at this time of year! Nothing is better than getting outside to enjoy the season and smoking some ribs. 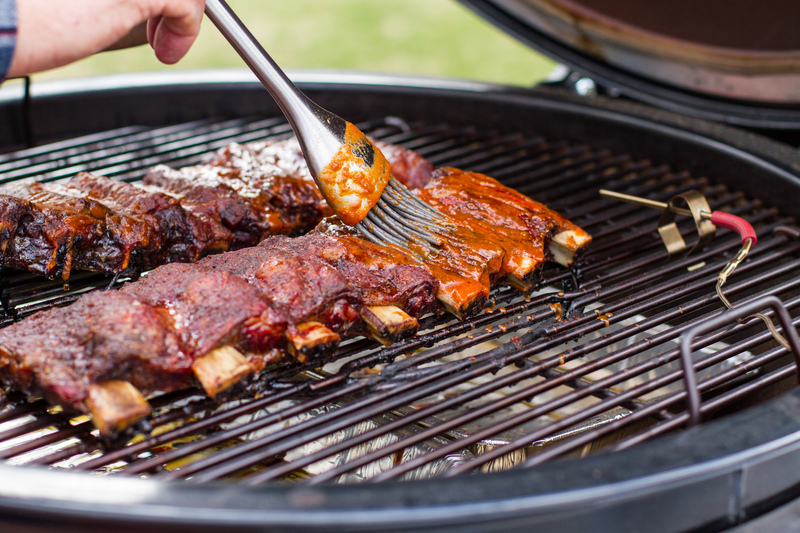 our 3 most popular rib recipes for you! 1. Not that you don't want to spend all day smoking ribs but if you are short on time, these foil wrapped ribs are a timesaver but just as tasty. 2. These Best on the Block Baby Back Ribs really are just that. They are so popular among our fans that they are even in our cookbook- Weber's Greatest Hits. 3. Another of our most popular rib recipes for the fall is a classic baby back rib recipe. The recipe calls for our hickory chips which add a nice flavor that will leave you wishing you smoked more ribs! You are probably going to want to sauce your ribs. We have a great basting brush that I like to use for saucing my ribs and for oiling all of my other grilled dishes. I have another blog that you can check out to know when to sauce your ribs. 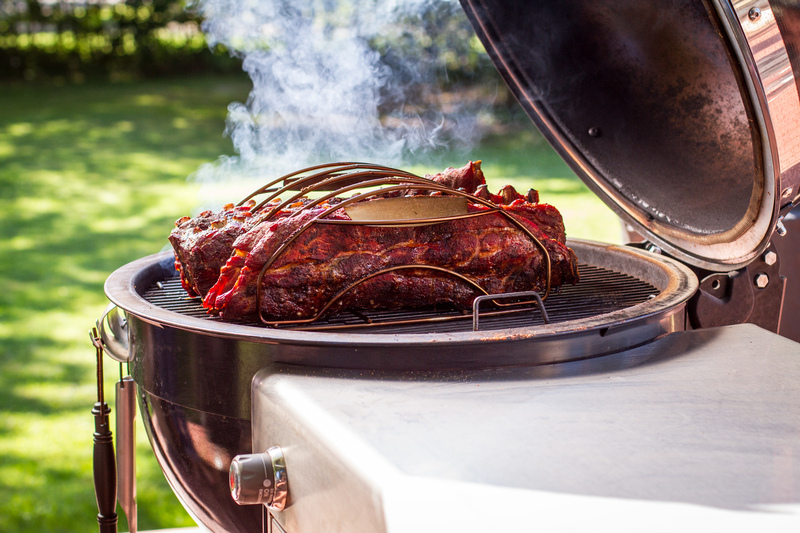 If you are looking to smoke A LOT of ribs, then a rib rack is a necessary tool. Here is one of our most popular rib rack options. 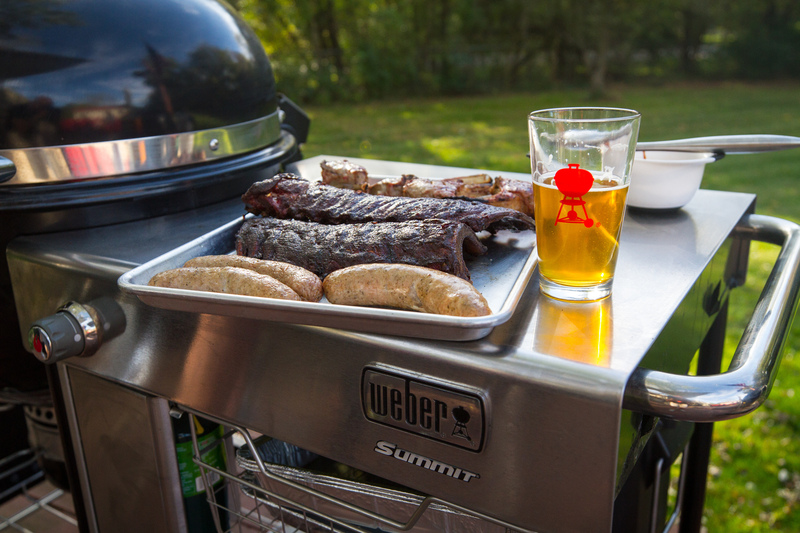 If you are spending the afternoon outside, enjoy it with a nice cold beverage in our weber.com exclusive Weber pint glass.